This Nicaraguan puro is made for Warped Cigars at Casa Fernandez (TABSA) from 100% Aganorsa tobacco. 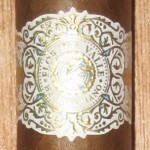 The Gran Valle (5.5 x 50) is made with a Cuban triple-cap and entubado-style filler bunching. It starts with a burst of salty and savory flavors but settles into a medium-bodied smoke with coffee notes and just a hint of sweetness. Construction is flawless with a perfect draw and razor-straight burn that produces a sturdy ash and thick smoke. From start to finish, this cigar impressed me. You are looking at $9-10 per cigar.